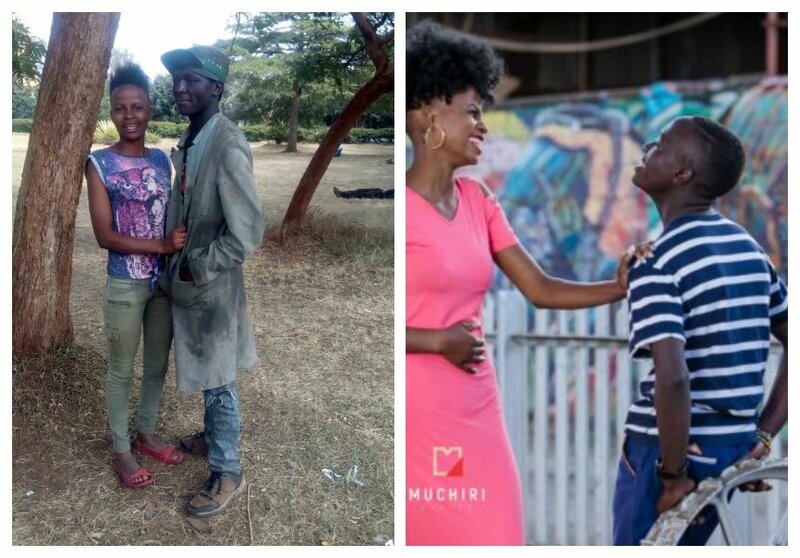 Street couple Sammy ‘Blackie’ and Virginia wowed Kenyans on Valentine’s Day 2018 after photographer Johnson Muchiri took photos of them while they looked like garbage monsters and some more photos after they took a bath and got rid of the worn out clothes. 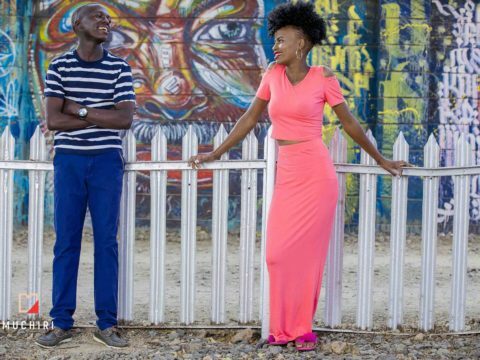 Muchiri spotted the two lovebirds at Uhuru Park and he decided to give them a make over he believed would help boost their spirits on Valentine’s Day. Speaking during an interview with Chipukeezy on Ebru TV, Sammy said that he was looking for a job or well-wishers to sponsor his business idea because he needed money to take care of his heavily pregnant wife.